La Hamacas villa is fully equipped with an eclectic décor and style and fine furniture ready to fulfill any whim of its guests. 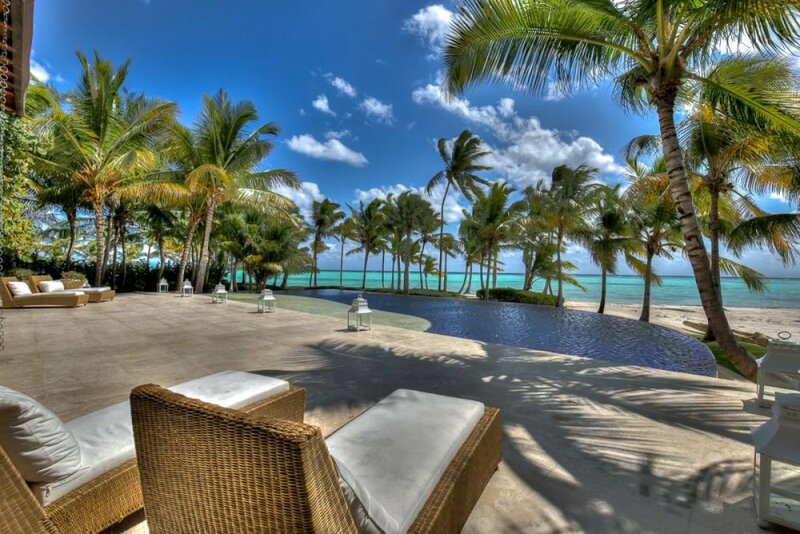 The villa reflects the Caribbean spirit compared to a 5-star hotel. The Master bedroom has an enormous king-sized bed, a spacious bathroom and an escritoire which outlooks the pristine waters. Then, other 2 bedrooms have 2 queen-sized beds and their private bathrooms and three more bedrooms with one bed of the previous mentioned size. All bedrooms are en suite and equally equipped with their own flat screen TV, cable, DVD, their own private bathroom, toilet, shower and walk-in closets. The villa’s common spaces are an abundant exhibition of superb taste and details. Hammocks are everywhere (thus the villa’s name) and the infinity pool is a refreshing oasis for guests.